Helen Twelvetrees appeared in 32 movies, each of which I cover in the second half of my book, Helen Twelvetrees, Perfect Ingenue, and almost all which are somewhat obscure. Of the six titles playing on TCM October 24, only one has ever had a home video release (Is My Face Red?, recently, from Warner Archive), and another I've never even seen play on the channel before (Hollywood Round-Up). Especially recommended are Panama Flo, Unashamed, and My Woman as most representative of the films of Helen Twelvetrees—don't miss these! 6:00 am ET - Is My Face Red? (1932) - Excerpted from The Films of Helen Twelvetrees – Capsule Reviews of 20 Movies - "Ricardo Cortez plays a Walter Winchell inspired gossip columnist in this film released months ahead of the superior Blessed Event ... Twelvetrees plays a showgirl who was at Cortez’s side from the start, providing tips for his column and falling in love with him. She’s top billed here, but it’s more of a supporting role to Cortez. Robert Armstrong is good as a rival reporter, who doesn’t buy into Cortez’s methods, though their best scene together comes when they drop their grudge for a few drinks of a brew that Clarence Muse helped specially prepare." Also with Aline Judge (very good!) and Jill Esmond. 7:15 am ET - Panama Flo (1932) - Excerpted from The Films of Helen Twelvetrees – Capsule Reviews of 20 Movies - "A knock-off on Her Man, but I saw this one first, and so I enjoyed it quite a bit when I found it. Charles Bickford hams it up as a brute with a booming voice and Robert Armstrong is the man from Helen’s past who reappears. Unlike Her Man, Helen’s character is an unenthusiastic participant in the barroom vice games this time around, but the scenes are fun all the same (as is her boss, Maude Eburne)." There's also a full review of Panama Flo on the site. 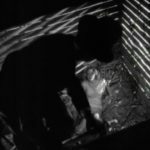 8:30 am ET - Unashamed (1932) - One of two movies covered in my CMBA Award-winning piece Real-Life Society ‘Honor Slaying’ Inspires Two 1932 Films (Best Film Article, 2015). Here's what I said in my Capsule Review piece: "Twelvetrees gets the MGM glamour treatment, and outperforms her material besides. In love with Monroe Owsley, typically playing one of his fortune-hunting weasels, it’s easy to get distracted by Helen’s disturbingly adoring brother, played by Robert Young, and a Lewis Stone court performance that will leave you wondering how he ever rose to become a judge in Carvel. After lover Owsley is killed by Young in a misguided attempt to save his sister’s reputation, Twelvetrees takes the unusual step of siding with her lover’s corpse over dear brother. When she finally comes back around she’s pushed too far and her brother’s fate on death row is practically sealed, unless Helen can make herself so despicable on the stand that she can sway the jury." 10:00 am ET - A Woman of Experience (1932) - Excerpted from my my Capsule Reviews - "Helen gets a shot at historical drama and romance in this tale of a Viennese prostitute, who only wants to aid her country at the onset of World War I. Her Elsa is rejected from serving in more typical ways, such as a nurse, but C. Henry Gordon’s Captain Muller sees a useful patriotism in the girl, even if she is so well-known professionally as to appear on a state ledger of streetwalkers ... She eagerly accepts her task, and sets off intending to get the goods on traitor Lew Cody. An encounter with a young soldier (William Bakewell) leaves Elsa head-over-heels and unwilling to follow through on her commitment to seduce Cody. But Elsa is no ordinary prostitute, she’s Helen Twelvetrees, so sacrifices are made and the mission is seen through while her young lover is off at sea in a submarine." 11:30 am ET - My Woman (1933) - Capsule Review excerpt - "This movie has so many of my pre-Code favorites, and they’re all at the top of their game in an entertaining title that quickly moves from a Panama cafe to New York’s world of radio. Wallace Ford is a hoot as Helen’s lout of a husband, who she helps maneuver to stardom, only to see his head grow even bigger. Victor Jory runs the radio station and falls for Helen right away, but respects her marriage to Ford until Wally starts running around with socialite Claire Dodd, who’s way out of his class. Dodd fans will love her, everyone else will hiss as intended ... it’s much of the usual flavor for Helen, who is nonetheless great as suffering but loyal wife, leaving the often outlandish Ford to really make his mark." Also on the site is the complete My Woman chapter from my book. 1:00 pm ET - Hollywood Round-Up (1937) - Excerpt from my book Helen Twelvetrees, Perfect Ingenue - "Helen had not worked in a Hollywood production for nearly two years when she appeared in Hollywood Round-Up opposite Buck Jones. The film strikes close to home in casting her as a former leading lady who hasn’t appeared in a hit film for so long that her studio puts her on loan to company known for specializing in Westerns. "In another twist relating to Helen’s biography, her character doesn’t fall in love with the star of the fictitious Western, who’s a jerk, but the film’s stuntman, played by Jones. This is a little more than a year after her marriage to Woody was dissolved, and three years before her suit against RKO for their non-Western with the similar love angle, I’m Still Alive (1940)." You won't want to miss any of these—yeah, you'll be at work, but hopefully you can record them. Or catch them later on Watch TCM. It might be years before any of these ever play on TCM again. If you're looking for a birthday marathon, don't hold your breath: Helen won't ever disrupt TCM's Christmas day programming! And by the way, another little teaser for my book: Helen Twelvetrees was born on December 25, 1907—not 1908 as commonly cited. Trust me, I've got a copy of her birth certificate within arm's reach. Helen Twelvetrees, Perfect Ingenue is available in paperback (362 pages) and for your Kindle. The paperback looks best on your shelf, but I'll confess the photos came out better on the Kindle copy. The good news is that if you pick up the paperback on Amazon, you'll have free access to the Kindle edition! The book is approximately one-half biography, one-half film-specific articles with a standalone article included for each of Twelvetrees's 32 films—even the lost ones! The page count includes approximately 40 pages of notes and references, an index, and a foreword by Dan Van Neste, author of The Whistler: Stepping Into the Shadows. Read more about Helen Twelvetrees on the site with even more articles here. 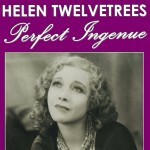 Pick up your copy of Helen Twelvetrees, Perfect Ingenue on Amazon.com. But first and foremost: don't miss those six movies playing on TCM, Monday morning, October 24, 2016.